Eset NOD32 Antivirus offers complete proactive Antivirus and Antispyware protection utilizing advanced heuristics to help protect from unknown threats and generic signatures and genetic technology to help detect unfamiliar mutations of known malware.ESET Smart Security offers comprehensive protection using Antivirus, Antispyware, Personal Firewall and Antispam. Now NOD32Club in China offered free NOD32 Smart Security / Antivirus for three months,following below instruction to get the product keys if you interested. 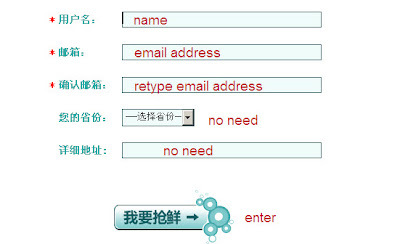 1.Go to NOD32Club China website enter in name,email address and retype email address only then click ‘enter’. 2.You will get the activation code immediately and then click ‘Activate’ . 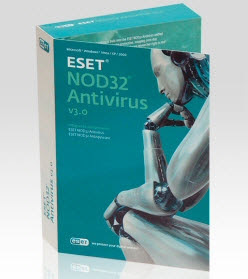 3.The username and password of Eset NOD32 program will sending to your register email within one hours.The trial run of three months is started from register date. 4.Then download NOD32 Smart Security or Antivirus programs.During installation,enter in the username and password that sending by NOD32Club to get 3 months validation. PS: This offer is started from last week and supposed ending in middle of July 08.The program above already pre-set for one month trial run,you can bookmark the NOD32Club China website and applied the username and password in July,then total you have maximum 120days ( 4 months) to use this NOD32 software. Not working anymore. It states no input file in the first registration page.